Micromax started its business in Smartphones in India as a company that would offer one of the best specifications of a Smartphone in a budget. They have runaway success stories with this formula in mind with mobiles such as the Canvas HD, Canvas 2, Bolt A67. This year they have looked in the entry level segment and introduced the Bolt A35. Does it have the right tools to make it the best entry level phone? Let’s find out! The Display is a 4” TFT with 480×800 resolution, 65k colours and 233 ppi. It’s one of the best screens in this price range & it has a good touch response as well. The screen size helps in not making the keyboard to cramped to type in, also considering the size it falls in the current trend of Android phones one can own where the screen size should be a minimum of 4”. The Processor is a custom made Spreadtrum SC6820, 1GHz Dual Core. This is really good considering the fact that the phone will not lag and this is good enough for running some heavy applications like games, etc. Multi tasking will be a good experience to a limit as it has a ROM of 512MB and RAM of 256MB. This is the only let down as one would not be able to run as many apps as you can run out of memory required to run them simultaneously. The internal memory is also a letdown considering you get only 160MB of it however you can use a MicroSD card upto 16GB in size. The phone is a Dual-SIM that only supports 2G data. It does have Wi-Fi, Bluetooth v2.1 & USB. There is no GPS. The phone runs on Android Gingerbread v2.3. This is another let down as one can do with an Android v4.0 today even in some entry level smart phones. The phone is equipped with a 2MP rear camera and no flash which is not too great considering people look for a minimum of 5MP cameras. It also has a front facing camera of 0.3MP resolution which is good enough for video calls. Videocon A15 – Over the A35 this phone has Bluetooth v3.0, a 3.2MP rear camera with flash. Trade-offs being a smaller battery and a 3.5” screen. Karbonn A1* – This phone has Android Jellybean v4.2, 3.0MP camera. Trade-offs being a smaller 3.5” screen. 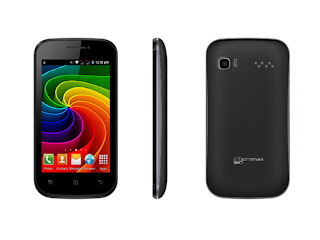 The Micromax bolt A35 indeed can be considered as an almost complete package in a budget. The things that keep it away from being complete are missing flash, 3G support, RAM, OS version & no GPS. However if one is looking for most of the basic needs in a Smartphone then this particular handset can be bought without second thoughts indeed. Author Bio: The article has been written by Kundan Kumar, who is passionate about technology and how its changing everyone’s life by making it easier. He’s working at 91mobiles.com and writes about the latest in the tech domain, right from devices to innovations.